Savannah State University Founders Day will be held on Thursday, November 10, 10 a.m., in Tiger Arena. It is an annual observance of SSU’s establishment and history. SSU will also present Cyrus G. Wiley Distinguished Alumni Award and the Richard R. Wright Award of Excellence. The event is free and open to the public. 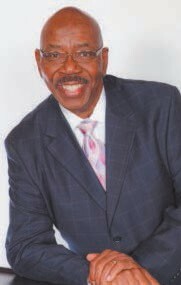 Savannah State University (SSU) has chosen Rufus Stephens ’70 as the Founders Day keynote speaker. A Savannah native, is a retired business owner and corporate executive, Stephens owned a food service and distribution company. Since his retirement in 2014, he has become a motivational speaker. A past winner of the Chicago area of the Toastmasters Humorous Speech contest, Stephens has lent his talents to audiences at the Department of Energy, Kiwanis, DePaul Alumni and the Georgia House of Representatives.